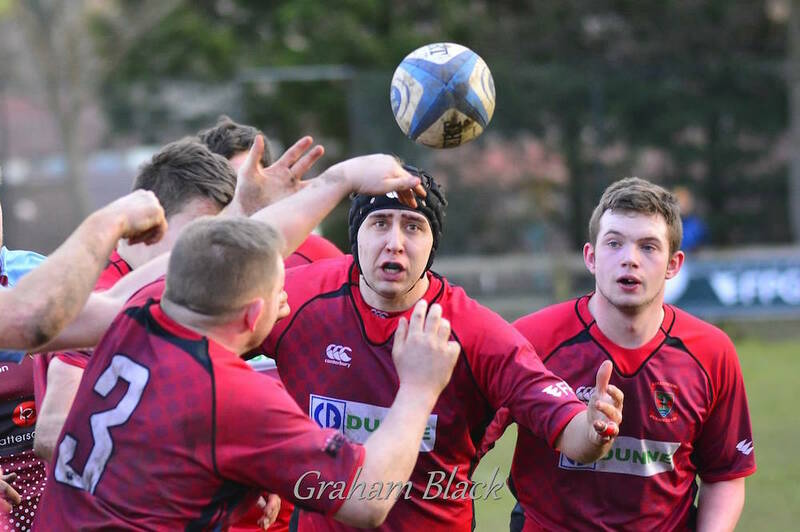 Last Saturday Linlithgow RFC faced high-flying St Boswells for the second week in a row. The home supporters were aware that the Borderers side had won promotion last season with a 100% record in the league and had continued their unbeaten run into this season and knew it would be hard-going for the Reds. The match was sponsored by the Thursday Night Footballers who brought a lot of colour to the proceedings! Wee Reds mascots, Jake Osborne and Marc Thompson-Pueyo, led the Firsts out on to a sunny but cold Mains Park. 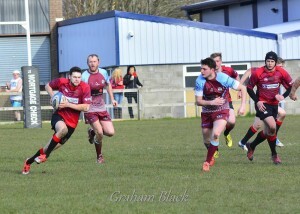 Linlithgow settled more quickly and took the game to the visitors. Their early spell of territory and pressure resulted in a penalty for the home side in the 6th minute but this kick went wide. Almost immediately, St Boswells mounted their first attack and for the next ten minutes it was their turn to dominate territory and to test the Reds defence. The visitors had already spurned one kickable penalty by going for the line-out when, in the 17th minute, another came their way. This time, they opted for the easy kick to take a 3-0 lead. 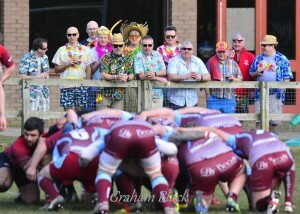 Linlithgow were standing toe to toe against their visitors and the pack took two scrums against the head. In the 22nd minute a clearance kick from the visitors defence was brilliantly caught by Jack Frame who ran it back upfield. He passed inside to Euan Mochrie, supported by Chris Bredin but the final pass would not go to hand. 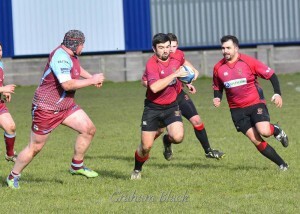 Minutes later Billy Edment crashed on to the ball and ran over the try line but the pass was forward. Frame had another good run and this was soon followed by a superb pick-up by Andrew Whitelaw but this move also broke down. When St Boswells converted another penalty in the 32nd minute, no one would argue that, at this stage, it was against the run of play. The Reds continued to press and, in the 37th minute, they won a penalty. Usual kicker, Frame, had tweaked a hamstring and so Andrew Whitelaw stepped up to take a kick that was effective, if not his most elegant, as the ball scarped over the bar. With the clock running down to half-time St Boswells pressed forward. Euan Richardson was adjudged to have won the ball illegally and was sent to the sin bin. The visitors were determined to press home the man advantage in the couple of minutes remaining and moved the ball from right to left and back again. They looked as if they had an overlap twice but, each time, the Reds tacklers arrived and great defence meant the teams turned round with St Boswells’ 6-3 in front. Linlithgow resumed still a man short and St Boswells remained keen to take advantage of this and surged forward. The half was only five minutes old when they breached the home defence for a try which was converted. The Reds were not giving up, however, and in the 49th minute Whitelaw added a second penalty. Jack Frame then had two surging runs up the right wing which meant the crowd were disappointed when his injury meant he had to leave the field. In the 57th minute, St Boswells scored a second try and this was the first time the Reds defence will feel that their tackling let them down. The conversion was missed. St Boswells were now exerting more and more pressure in the home side half and Linlithgow were having to tackle hard and often to defend their line. While the Reds play was still looking fluent when they won possession, they were playing deep which meant it was proving hard to threaten the visitors defence. In the 68th minute St Boswells scored a simple but effective try with a driven line-out. The conversion was missed but the Borderers’ lead had stretched to 18-6. 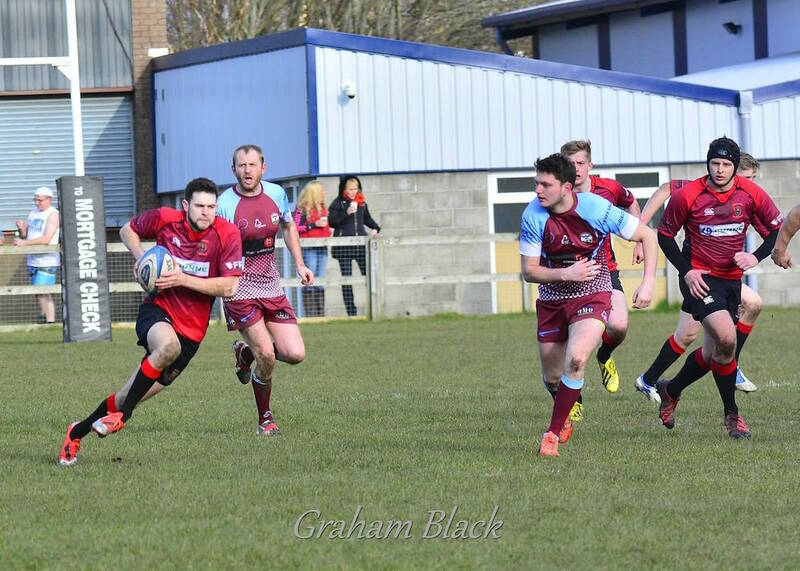 There was only seven minutes remaining when St Boswells ran in their fourth, bonus-point try wide out on the left and, five minutes later, they finished off the scoring with a fifth, converted try. By that time Linlithgow had been able to give a debut to another of their youngsters with Drew Somerville taking the field. 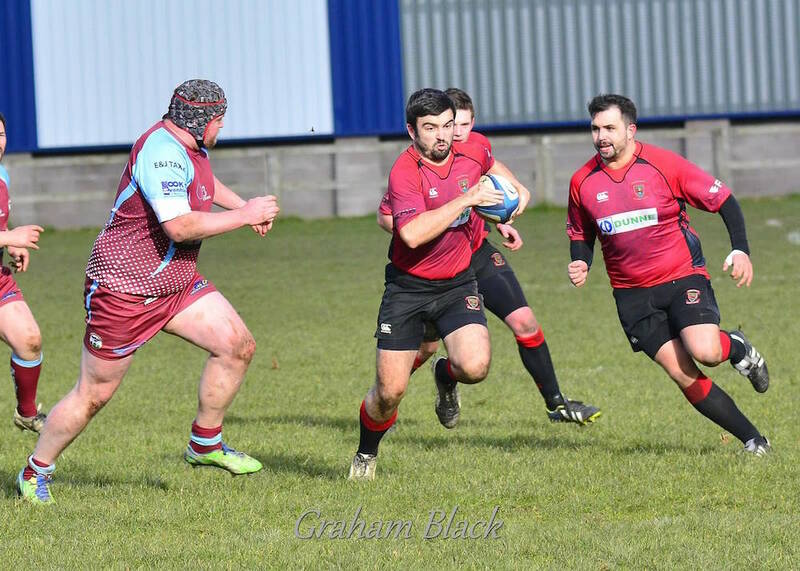 The 35-6 margin in St Boswells favour was greater than the week before and there is no denying victory went to the stronger side with more of a cutting edge in their play. Nevertheless, Linlithgow produced a fighting performance with some quality rugby at times, for which two penalties was a poor return. The Reds will serve up poorer performances in other games and win them. The coaching staff will now look to the players to reproduce some of this play more consistently. Jack Frame; Fraser Mochrie, Euan Richardson, Andrew Whitelaw and Chris Bredin; John Strachan and Jamie Livingstone; Calum McKeown, Billy Edment and Chris Archer; Steven Grant and Craig Scott; Stuart Cunningham, Cal Thomson, and Euan Mochrie. Subs: John Pauley, Drew Somerville, Russell Murdoch and Cameron Walker.